Our favorite car-review YouTuber, Doug DeMuro, stopped by the Dubai Auto Show this weekend and gave us a closer look at the 2019 Chevrolet Corvette ZR1, and it’s a monster. The 2019 Chevrolet Corvette, coming to dealerships in the spring of 2018, is equipped with a 6.2-liter Supercharged V8 engine, producing a staggering 755 horsepower and 715 lb-ft of torque. This powertrain makes this model the most powerful model in Corvette history. In fact, it has the highest output of any Chevrolet production vehicle ever. The engine is paired to a standard six-speed automatic transmission, with an optional eight-speed automatic transmission. This is the first automatic transmission ever offered on the ZR1, but Chevrolet still recommends the manual transmission for track driving. The vehicle in its entirety weighs in at 3,560 lb. 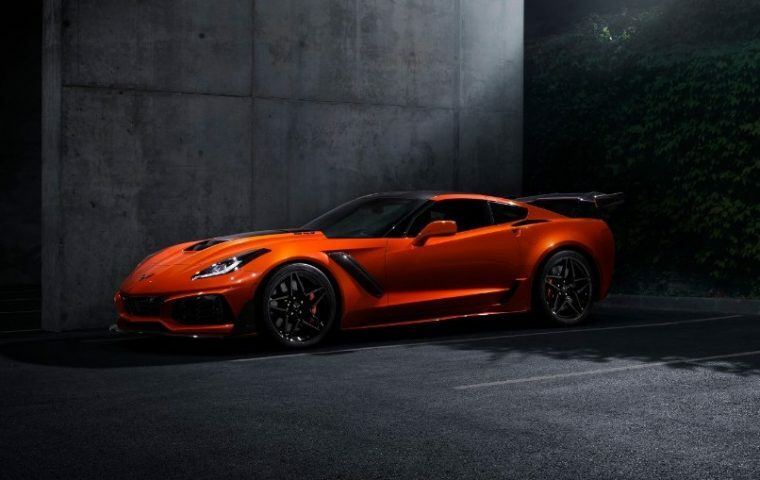 General Motors (GM) also stated that the 2019 Corvette ZR1 is the most carbon-fiber-packed GM vehicle to date. The vehicle’s carbon fiber features include its end caps, front and back fenders, wing, removable roof panel, and the top of the engine itself. One thing to note about the rear wing is that, while it offers a pretty sleek touch, and added performance benefits, it prevents drivers from being able to easily access the trunk. The engine is built into the hood, with a gap in the center of the hood to reveal the engine’s carbon-fiber top. GM received criticism surrounding the window to the engine in last year’s model, so they decided to say “to hell with the window” and incorporated the engine into the hood’s design. The front end of the vehicle has also been completely redesigned, with a stronger focus on improving the vehicle’s airflow at high speeds. You can also opt for the ZTK Performance Package, which includes improved features for maximum power. The package comes with the high-sitting wing on the rear, performance tires, and an improved front splitter. MSRP has not been announced for the 2019 Chevrolet Corvette ZR1, but it is expected to arrive in dealerships this spring.